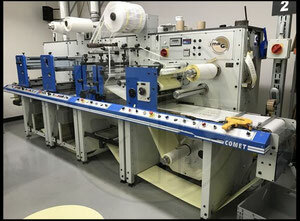 Label printing machine (flexography) belongs to the category of used printing machinery. 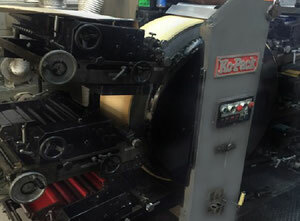 How does a label printing (flexography) work? 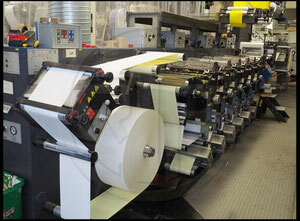 They are used to produce high-end graphics for labels at a rapid speed for a low cost. 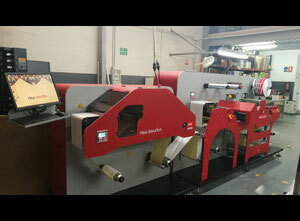 The machine works on many materials, such as paper, film and metal foils. 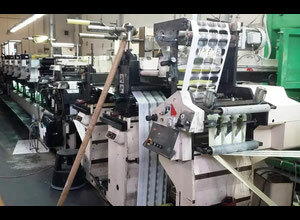 Flexography is a printing process that utilizes a very flexible relief plate to print a specified logo/picture/image. Then, the plate is installed in the rolling press and the product or material that will receive the logo/picture is passed across the rolls. 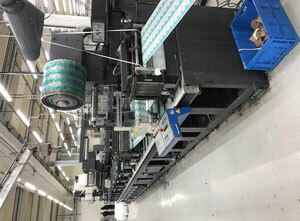 The machine is often used for printing on special materials, such as plastic bags or corrugated cardboard. This is one of the only machines that can print on this material. It can also be used on more classic materials. The setup of the machine takes a very long time, but once it’s done, the machine runs very quickly. 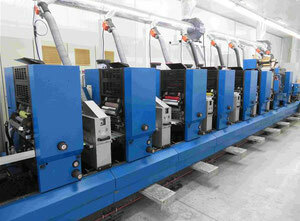 This equipment operates with a wide range of ink and colours. Overall, the working of this machine is relatively similar to the inkpad. This type of machinery is often considered very profitable thanks to its low cost of production and the very high speed of the machine. The wide range of ink allows the production of a complete range of colours. But the main advantage is that the label printing works for complex product materials like plastic bags or corrugated cardboards and cartons. However, it still has to be taken into account that this machinery can be quite difficult and time-consuming to set up. 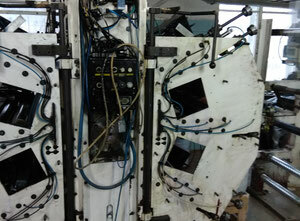 Consequently, a good understanding of the machine and knowledge of the printing process are required. 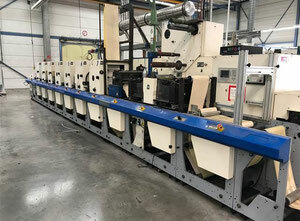 The machine is considered quite expensive due to the complexity of the operation, but it’s compensated by the low cost of production and the very high speed of the machine. 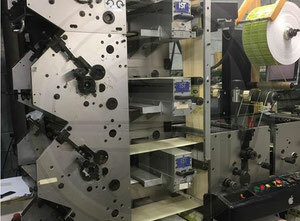 Machines from this subcategory mainly operate for labels. Most of the time, it is used in the packaging industry. 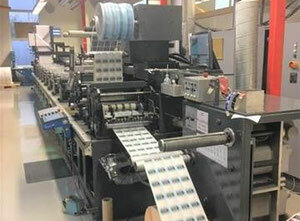 The current Exapro catalogue has more than 200 label printing machines for sale. 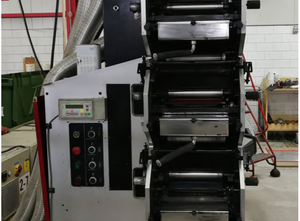 Exapro has in its catalogue some of the most important international manufacturers like Nilpeter used label printing machines, Gallus label printing machines, Mark Andy machinery and many more. You can find these used machines for an affordable price in our catalogue. Don't hesitate to check our catalogue of used machines and contact an Exapro’s agent if you have any questions. Also, it's possible to sell your used machine with Exapro. 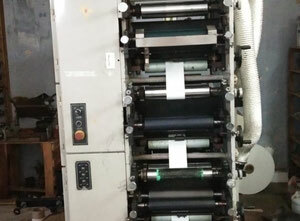 You can check the working of one of our label printing to sell, the Edale Sigma 510 Label printing machine. You have a used printing equipment? Start to sell or buy your used machine now!